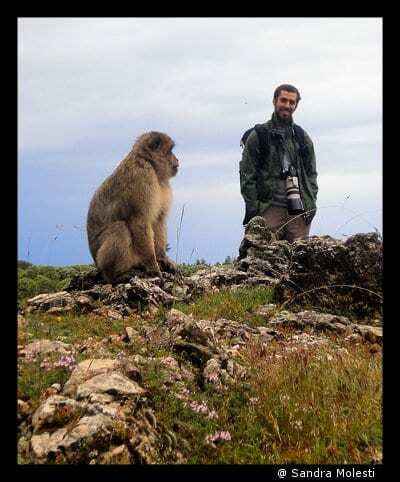 After half a year of planning, and loads of emails back and forth between myself and the Barbary Macaque Project I had finally arrived in Azrou. I stepped off the coach from Marrakech and my first thought was “I should have brought more clothes!” Sandra greeted me wearing walking boots, thick trousers, 2 jumpers, a fleece a waterproof jacket and a woolly hat; I was wearing shorts, t-shirt and flip-flops. It definitely wasn’t the 30° I’d been expecting. I had a a quick tour of the apartment then unpacked and promptly fell asleep. It had been a tiring few days of travelling. The following day I was woken by Sandra knocking on my door. Somehow I had slept in! Not a great way to start my time with the researchers. However things only got better from there on in. – Camping in the forest in a huge thunderstorm. – Eating a lot of cheap but extremely delicious food. But that is not the reason I was in Azrou. As Sandra has written here previously, I was here to film the Macaques as part of my MA degree in Wildlife Documentary Production. 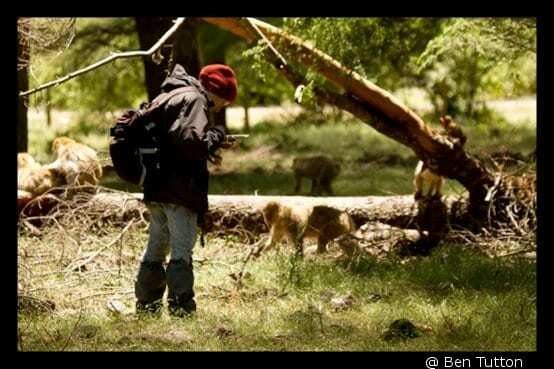 I’ve always been fascinated by primates and this was a fantastic opportunity to get close to them in the wild. being close to such cool creatures. This however didn’t mean that they were easy to film. 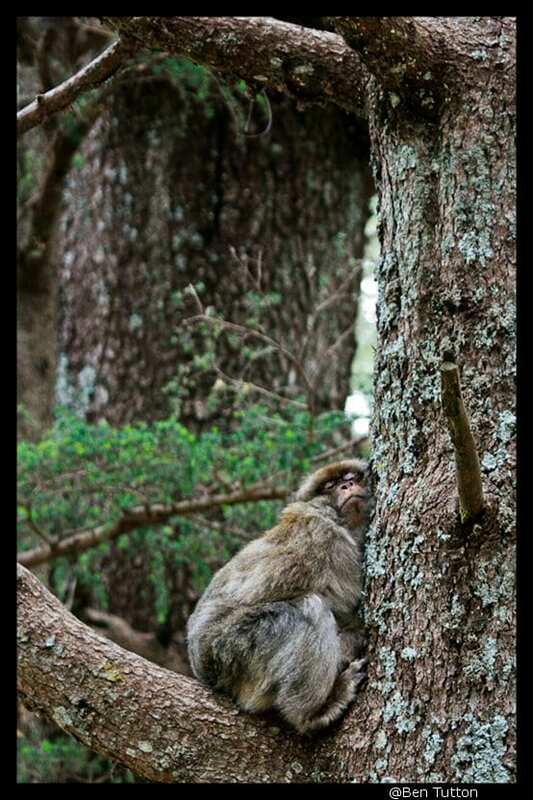 The high contrast lighting conditions in the forest meant that the macaques could only really be filmed before 10:30 in the morning and after 15:30 in the afternoon. This gave me lots of time to enjoy watching them (and for the odd little nap!) but it also meant that I only had a relatively small window each day to capture their interesting behaviours. They are also really fast, and as per murphy’s law anything that did happen would either be over before I managed to film it, or happen out of range of the camera. This combined with the steep terrain, a mass emergence of ear-wigs, my constantly running nose, overheating equipment, getting peed on by infants and enormous thunder storms, to name a few, meant that filming was always a challenge! It’s not just me who fell asleep during the day! One of the things that I noticed, and hadn’t been expecting, was the monkey’s flatulence! I suppose I would be the same if I ate grass, ants and flowers all day, but you never see or hear it on wildlife films. 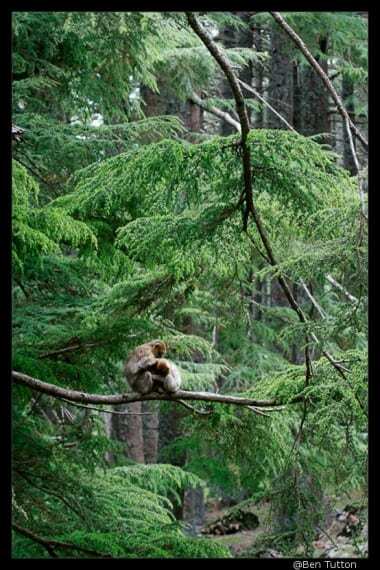 It made my “inner 13 year-old self” giggle each time I heard a monkey break wind – I couldn’t help but smile! Over my month in Azrou one of the most special things was witnessing the infants grow up and gain massively in confidence. Their fur was jet black when I first arrived and got more and more golden throughout my time there. They went from barely leaving the safety of an adult’s back to climbing 40ft up into trees on their own. These little creatures that initially looked like little wrinkly old men have captured my heart with their bravado and inquisitiveness. I’m definitely going to have to return to see how they’re getting on. I would like to thank the researchers for their assistance and support while I was there. I have upmost respect for what they do. 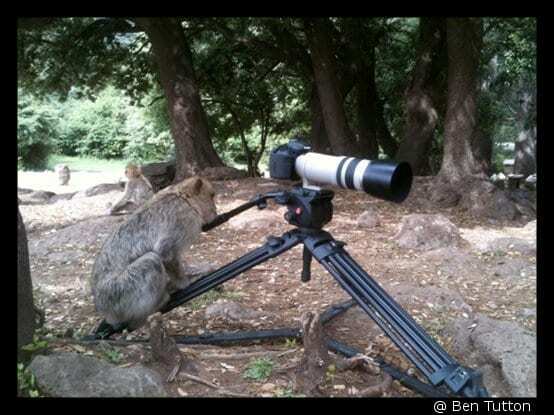 While I was enjoying my time atching and filming the monkeys they were working (very) hard recording each movement the monkeys made. They knew each monkey individually and were able to give me insights into their personalities and what to look out for and from which macaque. Without them I could not have made the film. If you want a sneak peek of some of the sequences from the film then please head over to my website bentuttonphotography.co.uk. I’ve also got some more in depth blog posts about my time in Morocco on there so have a look around and let me know what you think. 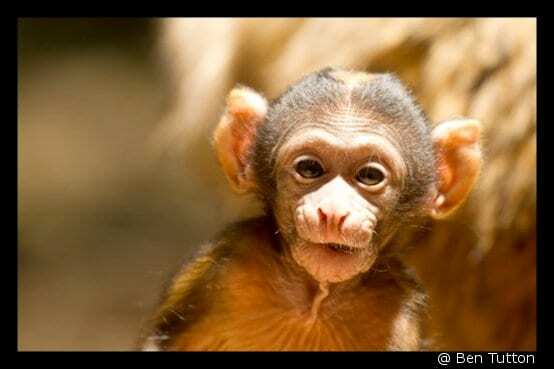 I am very happy you enjoyed your time with the monkeys and Morocco! Thank you for the nice blog post and for the wonderful pictures! Not a problem Bino, Thank you for saying yes to me all those months ago. My film will be finished this time next week. I’ll make sure that you and the rest of the team get copies.